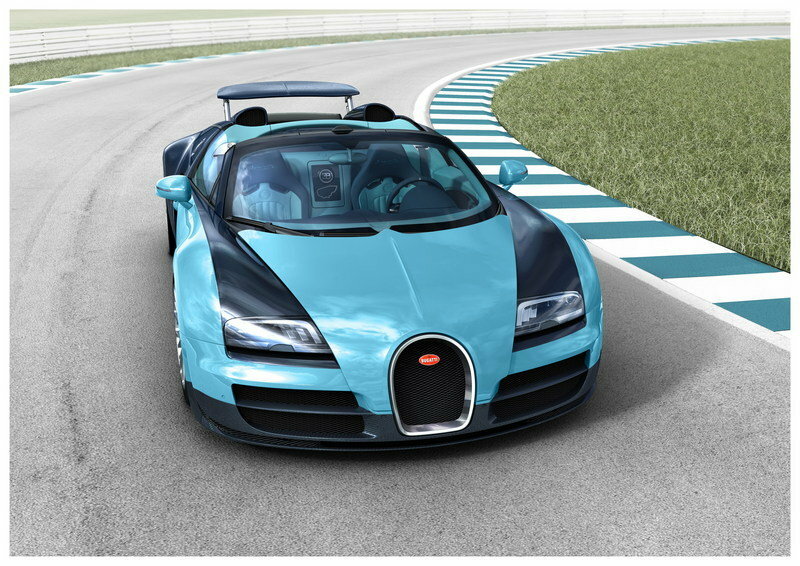 Bugatti unveiled their lasted addition to the many variations of the Buggatti Veyron at Pebble Peach on August 16th 2013. The Concours d’Elegance event showcased the newest Grand Sport Vitesse Jean-Pierre Wimille Legend Edition. This particular car was modeled on the original Grand Sport Vitesse, which as everyone knows is obviously the convertible adaptation of the Grand Sport. Paying tribute to Jean-Pierre Wimille, winner of the 24 hours of Le Mans in 1937, the Bugatti is painted over in blue hues replicating the colors of his Bugatti Type 57G Tank racers. The two-tone color scheme is followed up with the interiors, which have contrast stitching. The gear lever and steering are exceptions in red, white and blue commending to Wimille’s nationality. What makes the car even more unique is the signature of Wimille on the headrest, a silhouette of the Le Mans race circuit engraved into the aluminum center box and “Les Lengendes de Bugatti,” along with Wimille signature on a unique logo on the door sill plates. This is the first of six-parts Legends edition, “Les Legendes de Bugatti,” that Buggati plans to launch to honor the renowned names that played a fundamental role is the history of the company and helped create the brand. The other six cars will be unveiled one by one over the span of the coming twelve months. Only three examples of each of the six cars are going to be for sale though the prices haven’t been revealed yet. This Veyron Grand Sport Vitesse was brought out and placed next to the original Tank. The entire body of the car is made from carbon fiber instead of the hand beaten aluminum on Tank. The internals of the car remained unchanged as compared to the Grand Sport with 1,106 lb-ft of torque, quad-turbocharged 8.0L W16 good for 1,200hp with a seven-speed dual-Dutch automatic. Toyota has been coming up with various kinds of innovative machines very frequently. Not only high performance cars by the company have also made great contributions to the market by manufacturing small utility vehicles. They have tried out various experiments with the wheels. The main aim of the company is to manufacture safe vehicles. This will increase the mobility of the common people to a great extent. There are many people have kept themselves away from driving vehicles because they think that will commit some kind of accident. But the motor car manufacturing companies like Toyota have been always concerned with the safety of the people who are riding their vehicles. The individuals and other companies have been always in search of small vehicles that would help them in moving around their campus. Keeping this in mind Toyota is planning to come with a two-wheeled vehicle. This will resemble a Segway. The company first announced the launch of this vehicle almost five years ago. Various questions have arisen about the speed of the vehicle. It is able to offer a top speed of just four miles per hour. Thus the company is trying their best to improve the speed of this small vehicle. Once that is done there will be no question regarding the productivity of the vehicle. The Winglet was announced by Toyota in 2008. Since that time the vehicle was put to various kinds of testing in the streets of Japan. Even the public was allowed to use it. The vehicle has been appreciated by many because it provides ease of mobility and safety to the person driving it. 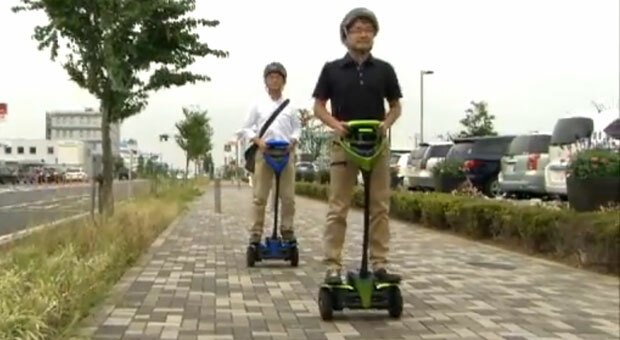 This fun vehicle can be used to travel almost six miles with a single charge. The battery does not take more than an hour to get recharged again. Copyright © 2019 Professional Automotive News. All Rights Reserved.